One of Britain’s major news publishing groups has sustained another year of large losses due to its heavy debt burden and falling value of its titles. Johnston Press, which publishes newspapers including the ‘i’, The Scotsman and the Yorkshire Post, saw a pre-tax loss of £95m last year. But that was better than the £301m loss sustained in 2016, after it had to cut the valuation of its titles. In 2017, it further reduced the book value of those titles by £57m, to £84m. The reduced value of the Edinburgh-based firm’s debt is also counted against profit, at a cost of £22m. With £196m of debt, it has yet to find a way of rolling it over when it becomes due, in June 2019. That is after years of struggling to reduce debt from a peak of £751m in 2006. Discussions with a committee of bondholders were announced last November, and there is no sign with the publication of the full-year financial results that chief executive Ashley Highfield is close to cutting a deal. Without that, the board issued a warning of moving to alternative financial restructuring or refinancing. The financial results statement said this was a “material uncertainty” for the company’s future, adding: “Failure to repay, refinance, satisfy or otherwise retire the bonds at their maturity would give rise to a default under the indenture governing the bonds dated 16 May 2014, and this possibility indicates a material uncertainty that may cast significant doubt on the group’s ability to continue as a going concern”. The figures for 2017 showed revenue from print advertising was down 20% to £49m. Within that, classified advertising was down 29% in only one year, or a fall of nearly £13m. In digital advertising, Johnston Press won £20m of business, up 8%. Revenue from circulation of its newspapers was down 1% to £79m. To reduce the debt, there have been repeated rounds of cost-cutting. It closed 18 offices, bringing the total to 89 properties. The cost of redundancies was more than £13m, and its strategic review cost more than £3m, while capital spending was less than £5m. It spent £19m servicing debt last year, and contributed £10m towards the shortfall in its pension fund. That was while total revenue fell from £223m in 2016 to £202m last year. Without the high cost of a financial adjustment to account for its heavy debt burden, the publisher reported adjusted pre-tax profits on continuing operations down from £17m to £14m. The figures had to be adjusted to provide comparable accounts following its purchase of the ‘i’ newspaper during 2016, which skewed the results for that year. 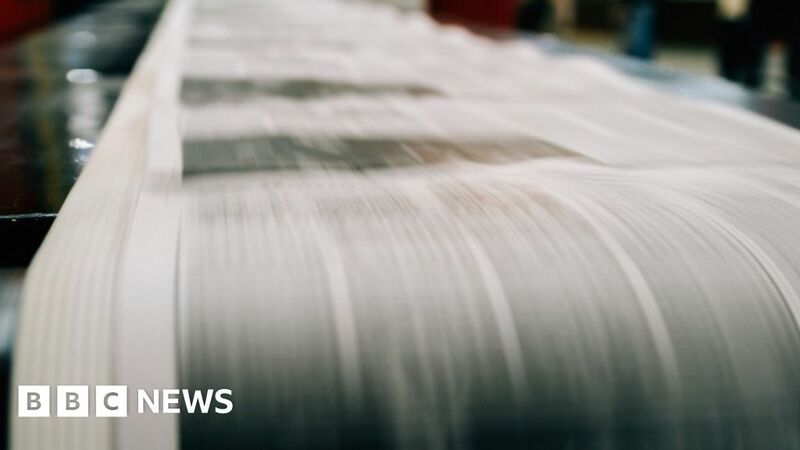 That remains a strong performer in its stable of news brands, with profit up to £9m in its first full year under Johnston Press. On its main city titles, it could point to strong growth in the numbers using its digital news platforms. Last year saw The Scotsman’s figure up 13%, the Yorkshire Post by 58% and the Sheffield Star by 29%. Johnston Press believes that the advertising market during the start of 2018 has improved, and there has been a move back to trusted news brands in reaction to the publicity of “fake news” and controversy around social media. Is Now the Time For Gucci To Hide Behind A Mask? February 21, 2019 Comments Off on Is Now the Time For Gucci To Hide Behind A Mask?